Not only do Red Stag Casino treats you like a proper VIP, everyday, here at RedStagCasino.eu, but Red Stag Casino also wants to reward you for your loyalty; Red Stag Casino wants to PAY you to PLAY! 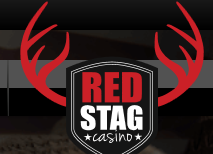 Joining the Red Stag Rewards programs gives you so much more than you’d expect, after all, remember what Red Stag Casino said, straight from the beginning? The drinks are on Red Stag Casino! Whether it’s The Chaser bonus on ALL your deposits EVERY DAY, The Weekly Monday Mojito bonus, or Wednesday’s Martini Cashback, Red Stag Casino always has something to increase your bankroll - and it usually comes with a fancy, decorative umbrella (or a lemon and salt shaker!). Earn Rewards on every single wager you make, whether it's with bonus money OR cash! Unlike the majority of online casinos, where you only earn Loyalty points for slot play, at Red Stag Casino, you earn Rewards on all wagers, playing all games! Redeem your rewards for bonus funds directly into your casino account - fast and easily, all while sipping a luxurious cocktail! 1,000 rewards can be exchanged for $1. You can redeem the rewards via the Casino Cashier, making a truly seamless, easy transaction. A total of at least $25 in bets is required before any rewards can be redeemed. your rewards are updated every 60 minutes. The minimum redemption is 2,000 points ($2). Earn Rewards, Every Day (With Free Drinks)! You need to contact Customer Support in order to claim any reward. Martini Cash Back 10%: Get up to $500 every Wednesday, resulting from your losses from the previous week (Wednesday – Tuesday) excluding bonus money. Offer expires in 48 hours. Martini Cash Back 15%: Get up to $700 every Wednesday, resulting from your losses from the previous week (Wednesday to Tuesday), excluding bonus money. Offer expires in 48 hours. Martini Cash Back 20%: Get up to $900 every Wednesday, resulting from your losses from the previous week (Wednesday to Tuesday), excluding bonus money. Offer expires in 48 hours. Martini Cash Back 25%: Get up to $1,200 every Wednesday, resulting from your losses from the previous week (Wednesday to Tuesday), excluding bonus money. Offer expires in 48 hours.